Android powered tablets increased to almost 62 percent of the total tablet market in 2013, leaving iOS behind at 36 percent. 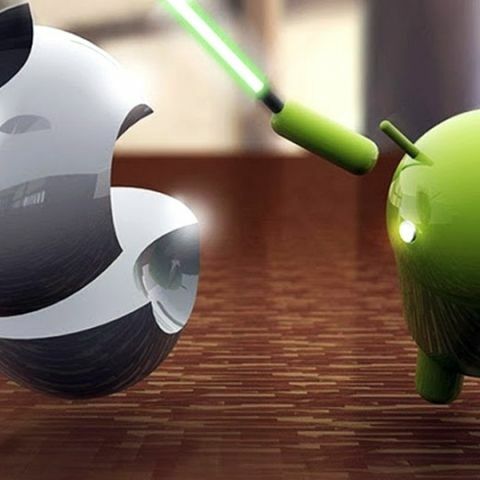 Google's Android OS has surpassed Apple’s iOS to become the most used operating system for tablet devices. According the Gartner's latest research, Android captured 61.9% of the overall tablet market with sales of almost 121 million devices during 2013; compared to 53 million in 2012. iOS was second with 36% of the market share. Although the market share of iOS powered iPad has declined, Apple's tablet sales increased from 61 million to 710 million last year. Overall, sales of tablets have reached 195 million in 2013, suggesting an increase of 68 percent since 2012. Tablet sales have increased drastically in 2013 with cheaper Android devices which come with respectable specs. Roberta Cozza, research director at Gartner, says, "It was in 2013 that tablets really hit the mainstream, with cheaper Android devices sporting reasonable specs becoming popular. However, competing on price alone won't be enough for tablet makers from now on." While Android and iOS hold almost 98 percent of the tablet market, the rest is owned by Microsoft's Windows 8 powered tablets with a 2.1 percent share market. Despite the fall in market share, iPad sales have risen from 61.5 million units to 70.4 million units. By those numbers, Apple's iPad is still the highest selling tablet from a single brand while Android features tablets from multiple manufacturers. Among all the tablet makers that use Android, Samsung holds the top spot but falls behind iPad in terms of overall tablet sales. The South Korean manufacturer holds 19.1 percent of the tablet market worldwide. Gartner notes that Android's market share will continue to increase because the company provides cheaper tablets as compared to the iPad.